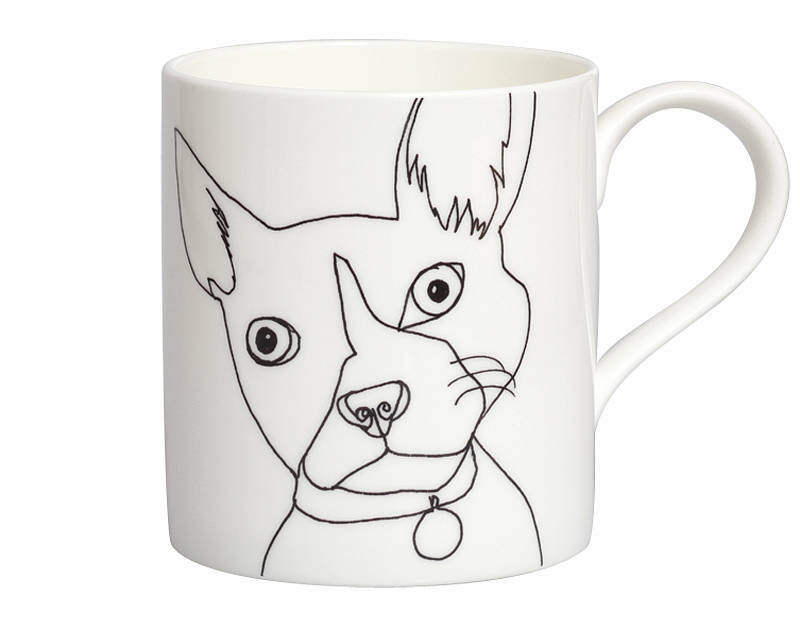 This white bone china mug with French Bulldog illustration from Nadia Sparham's dogs and cats collection would make a great affordable and personal gift for French Bulldog owners or dog lovers. It is also often purchased by Chihuahua lovers. Although a finer more delicate china it is microwave and dishwasher proof. At 9.5cm high and 8.5cm in diameter it offers and good sized cuppa. This design is also available on plates. Please enquire. This product is dispatched to you by nadia sparham.